Henry's Cameras is putting the Canon M10 on a cool promo! 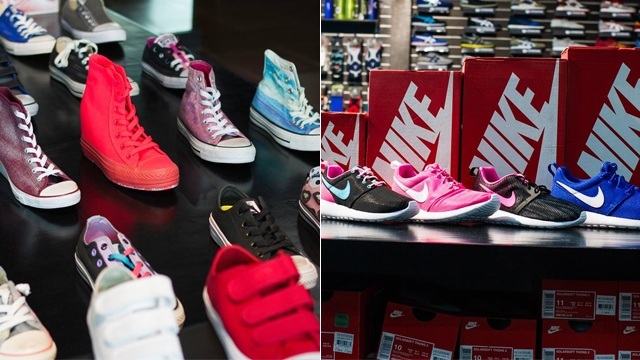 (SPOT.ph) Looking for a brand-new camera to document all your adventures? Here's a deal you wouldn't want to miss: Henry's Cameras is putting the Canon EOS M10 on a cool promo for a limited time only! 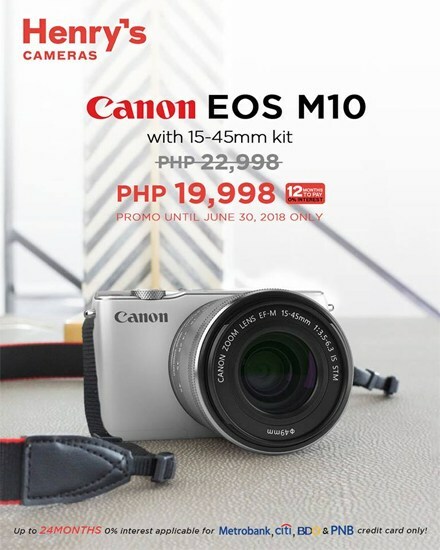 Get a P3,000 discount on the Canon EOS M10 with 14-55mm lens when you shop from Henry's Cameras until June 30. You can get it for P19,998 (regular price P22,998) and even enjoy a 12-month installment plan with no interest! That means you only have to shell out P1,666.50 a month to get your hands on a brand-new mirrorless camera. Plus, if you're a Metrobank, Citibank, BDO, or PNB cardholder, you can get up to 24 months installment with 0% interest—so that's only P833.25 per month. 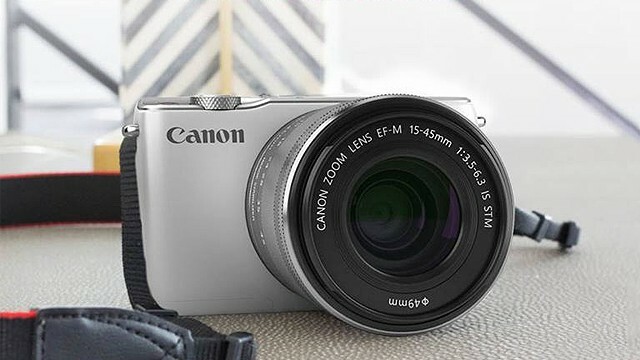 The Canon EOS M10 is a user-friendly mirrorless camera perfect for people who need something they can easily fit in their bags. It has a 180-degree tilting LCD screen, making it a great camerafor taking selfies and vlogs. This is your chance to get yourself a brand-new camera! For more information, log on to Henry's Cameras' Facebook page.